At TMC’s Wearable Tech Expo event this past summer in NYC I had a chance to meet Katy Kasmai who heads up UbiTech, the company behind the Google Glass Hackathon in New York. This next event takes place September 6-7, 2014 – basically next week and has a bunch of prizes associated with it such as $1,000 from Augmate for an enterprise supply chain application. The price is $25 per person and the event is at WeWork Park South. 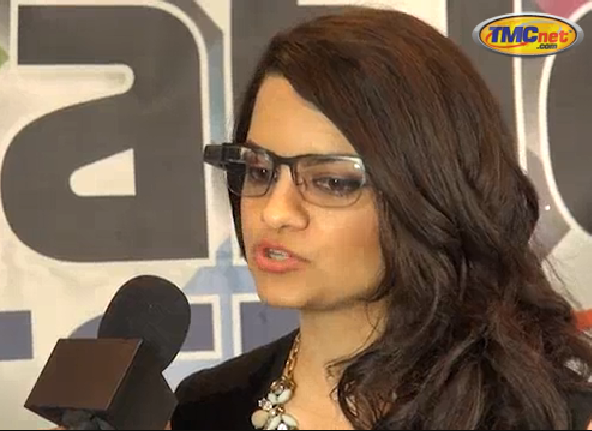 I had a chance to interview Katy at the Wearable Tech Expo conference where she explained how she got involved with this market and went on to talk about some important points regarding Glass and associated applications. Just as the iPhone helped turn phones into application-centric devices, Google Glass looks like it will be the product that makes many of us want to wear smart glasses. Just like with any device, once the killer apps come along, we wonder how we ever lived without them. Hackathons like this will no doubt spawn some new and exciting applications which will make smartglasses that much more more indispensable. Tomorrow is Purchase Google Glass Day!